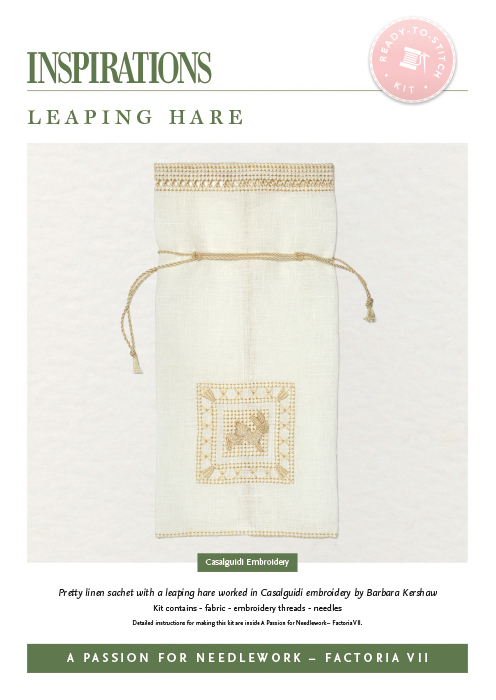 Pretty linen sachet with a leaping hare worked in Casalguidi embroidery. 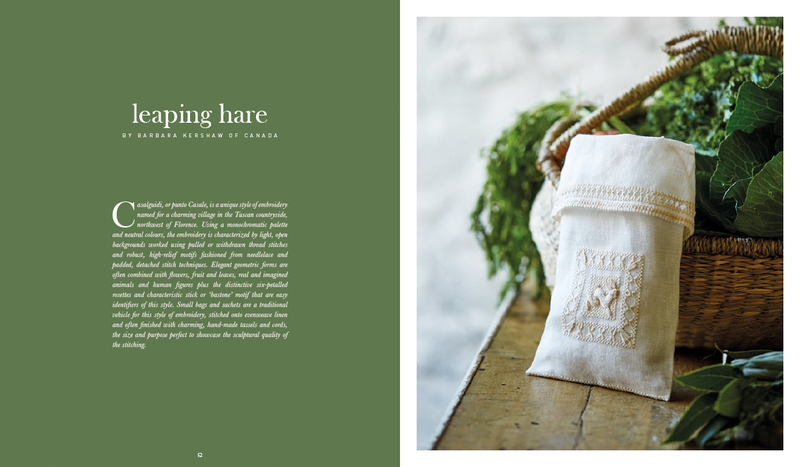 A graceful, high-relief hare leaps across a background of four-sided stitch on this charming linen sachet. 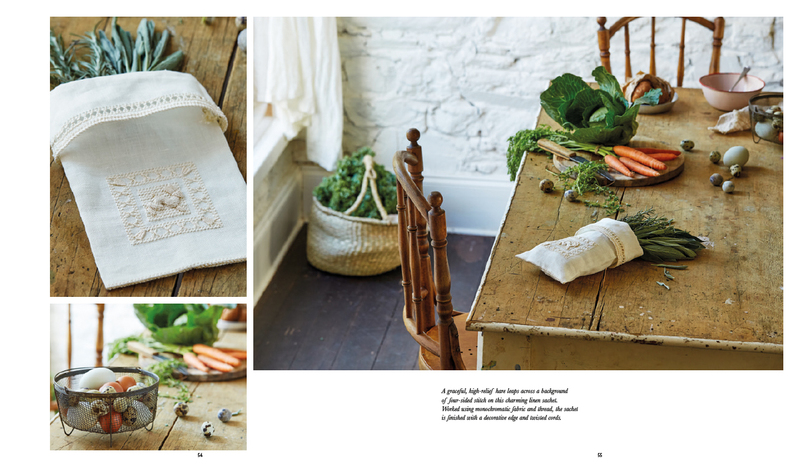 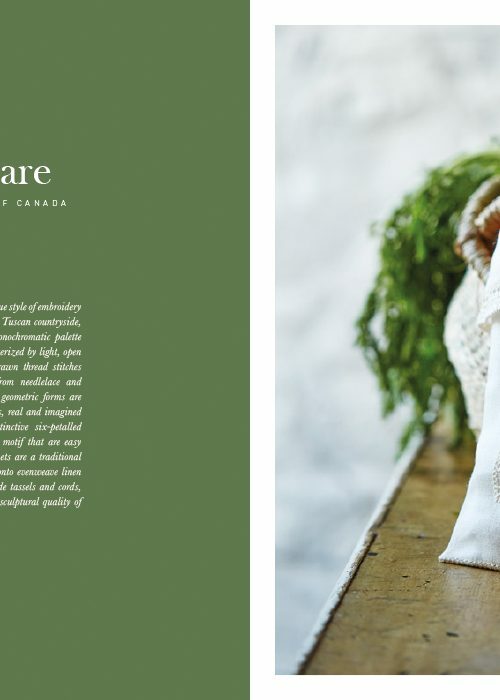 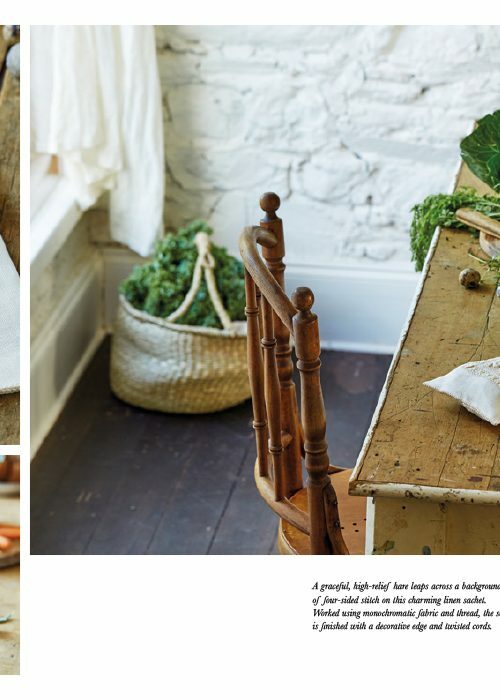 Worked using monochromatic fabric and thread, the sachet is finished with a decorative edge and twisted cords.